Burlington, IA. - The Burlington Bees (16-20) suffered another extra innings loss, as the Kane County Cougars (18-17) defeated the Bees 5-4 in ten innings. Cole Bartlett (2-0) picked up his second victory of the season, despite blowing a save opportunity the previous inning. Kida De La Cruz (1-2) suffered his second loss of the season, despite not allowing an earned run. The first four innings of the game were pretty quiet, with both teams only having two hits each in the first four. However, the Cougars got the bats going in the fifth, as well as their ride to victory. After a four pitch walk to Joey Rose to begin the inning, Tim Susnara lined a double off the right field wall for an RBI, to make the score 1-0. Two batters later, Gabriel Maciel hit a soft ground ball to Isaac Mattson, and Mattson saw Susnara half way to third, which gave him an opportunity to do the classic pickle play. However, after stareing at Susnara for about three seconds, Mattson decided to try to get Maciel out at first. Unfortunately, the throw was off, which allowed Maciel to reach base safely, and let Susnara advance to third. Yoel Yanqui would ground into a fielder's choice to pick up his 13th RBI, and then Eduardo Diaz snuck an RBI single past Leonardo Rivas at second base, to make the score 3-0 Cougars. However, the Bees would not let the inning go unavenged. Bees got their bottom of the fifth started on an infield single from Franklin Torres, but Cougars third basemen Joey Rose tried to beat Torres at first with an off-balance throw, which ended up going way past Yanqui at first, and allowed Torres to reach second on the error. Harrison Wenson would draw a one out walk to put runners on first and second, and then Rivas would send a fly ball off the left field corner, giving Rivas a two-run double, allowing the Bees to cut the lead to 3-2. After Ernie De La Trinidad blasted a solo homerun to right, the Bees found themselves down 4-2 late in the game. After going scoreless in the bottom half of the eight, the Bees needed to act quickly now having only three outs. After a strikeout from Rivas, Jo Adell would come up big once again on a single to center, to give the Bees a little life. Brandon Marsh would also strikeout, but Torii Hunter drew a two out walk, to get a man in scoring position. It all came down to David MacKinnon, who came up clutch with a two-run double to right and allowing the Bees to tie the game at 4-4. Torri Hunter slides into home, tying the game in the bottom of the ninth. The Cougars started the top of the tenth with Diaz at second, because of MiLB extra inning rules. Eudy Ramos hit what should have been routine fly out to shallow center, however Rivas, Julio Garcia, and Spencer Griffin all charge after the ball, and due to communication errors, none of the three players caught the ball. The play allowed Diaz to advance to third and Yan Sanchez would bring in Diaz on a sac fly, to make the score 5-4, and the Bees would strikeout in their final two at bats in the bottom of the tenth, to suffer their 20th loss of the season. Although four runs are a very good amount to score in a game, the Bees could have scored seven or eight, had they taken advantage of their opportunities with runners in scoring position. The Bees had a runner at second in the fourth, a lead-off double by Hunter in the sixth, runners at the corners with one out in the eight, had Mackinnon in position to score the winning run in the ninth, and had runners at the corners with one out in the tenth. The Bees left eleven men on base tonight, and five of them were in scoring position. Burlington struck out seven times in the final four innings, after only striking out three times in the previous six. The Bees have to be better contact hitters in late game situations, so they can capitalize when they have runners in scoring position. The Bees will look to even the series at two games a-piece, in the series finale against Kane County tomorrow at 6:30 pm central time. 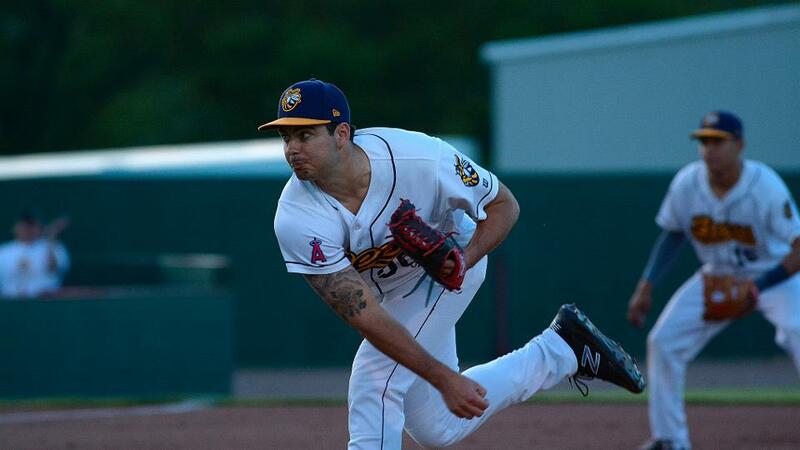 The Bees probable starter will be Sam Pastrone, who is 2-1 this season with a 4.35 ERA. Pastrone has a team worse 1.35 strikeout/walk ratio and will be looking for a quality start to get his season back on track. Hopefully Pastrone can go deep into the ball game, so the Bees bullpen can have a night off. The Cougars most likely be going with left handed pitcher Mack Lemieux. Lemieux currently sits at 1-2 on the year, with a 3.71 ERA, he is second on the team in innings pitched at 34.0, and strikeouts with 33. However, Lemieux has been their most vulnerable pitcher, surrendering a team leading 18 runs this season.